Here's a pair I've had for a while. Female is a "blacker ice" I got from John at Blue Ribbon Koi and the male is a "frostbite" I picked up at Tiki Corals in Richmond. Ironic you start this thread with your pair since I've had a frostbite for about two weeks and just picked up a black misbar yesterday! My Blackhawk Picasso’s from Booyah’s Reef in Chicago. Surely we can't be the only proud clown papa's and mama's. Come on folks. Lets see those clowns! My pair of Black Storm that I got about a month ago. I was never into clowns much, but when I saw the black storms I really liked them because they remind me of Panda bears.. lol, I didn't think they worth the $200 a piece price tag so I didn't buy them at first. Came home a few weeks ago and my gf surprised me with them so I guess I'll keep them lol. 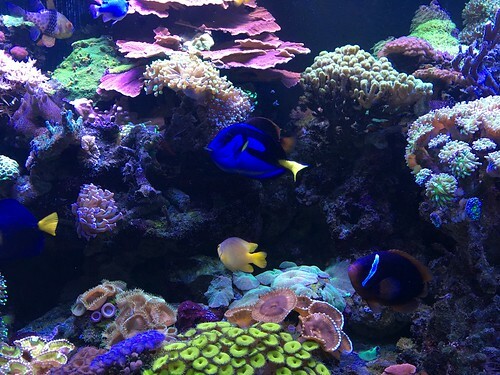 BTW I dont know how u guys take such good fish pictures, took me like 15 tries to get that pic. 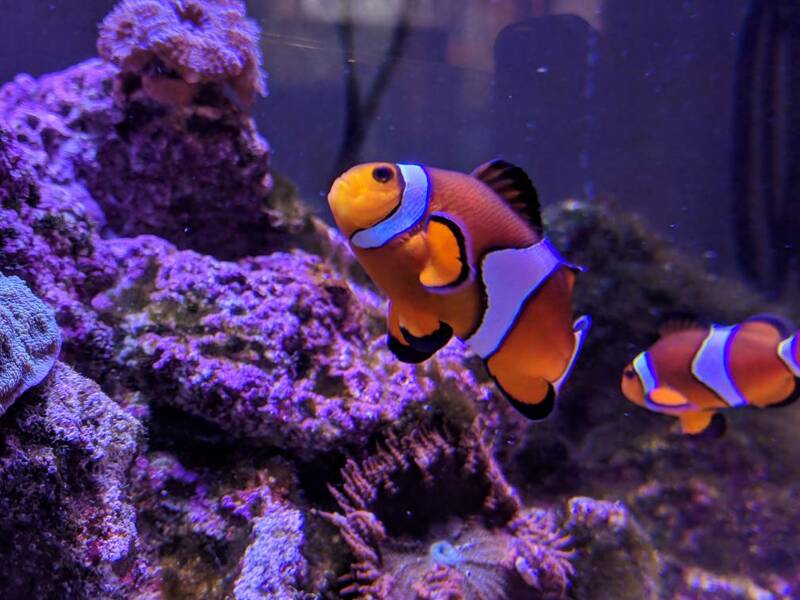 Here are my clownfish. We've been calling them sharkies lately because they're always finning the surface looking for food. They like to boop our fingers. Here are my mating pair. female is about 5" and I think she still growing . You can hear her chopping jaws during feeding. Interests:Reefing, VT Football, Nationals, Capitals, and Beer! 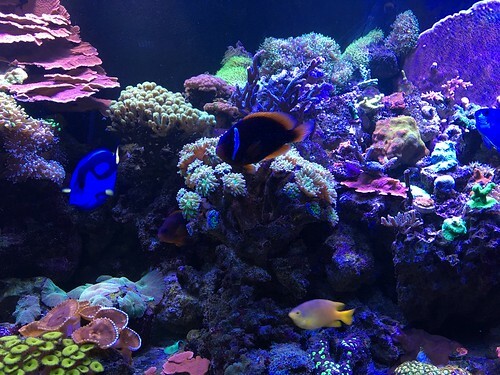 Here are my standard picasso (via another club member) and onyx picasso (supreme reefs). The standard has developed a lot more black since this video was taken mid-summer. Hopefully the video works. edit: of course the video did not work! hah. Here are some not great photos (hence trying the video) from over the summer. 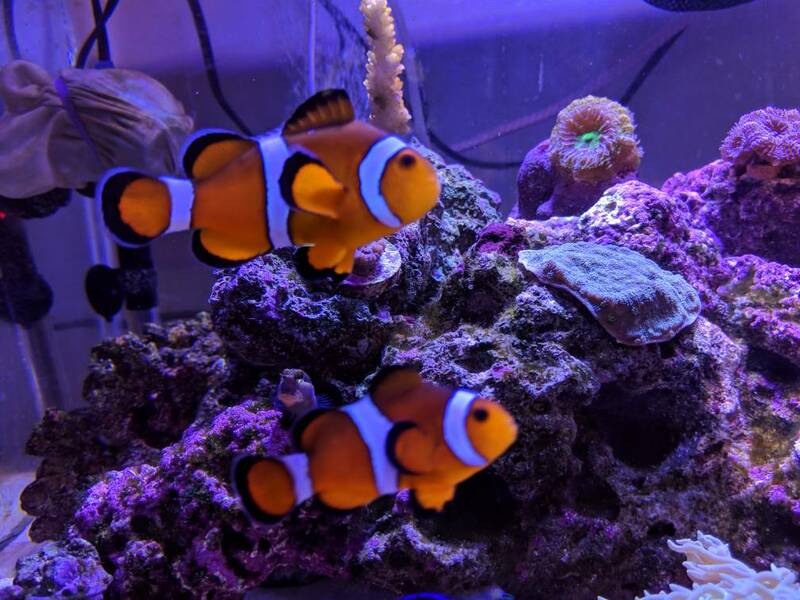 Not the best picture, but we've got a pair of clowns in one of our class tanks. 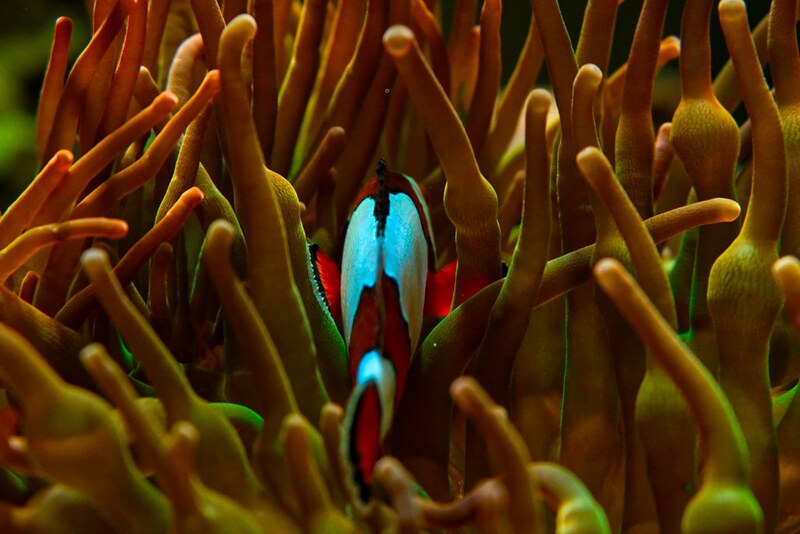 There are no anemones in the tank at the moment, since the water isn't really stable enough, but the one clown LOVES to nest in this one coral. It's rather hilarious...and luckily it doesn't seem like the coral is any worse for the ware so.